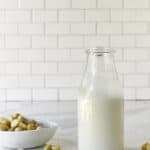 Homemade raw macadamia milk is easy to make, is rich, creamy, and contains all of the nutrients and fiber of the whole nut. Thank you Australia, for giving us the incredible macadamia plant! Hawaii put macadamias on the international stage, but these nuts are indigenous to Australia. The first commercial crop of macadamias was planted in Australia way back in the 1880’s, and Aussies have been chowing down with love ever since. Today, macadamias are one of Australia’s most significant native plant food exports. Australia is one of the largest macadamia producers in the world. Macadamias are also commercially grown in the United States (Hawaii and Florida), South Africa, New Zealand, Israel, Kenya, Brazil, Costa Rica, Bolivia, Colombia, and Guatemala. Like cashews, macadamias are short-soak nuts – they only get a brief 2-hour bath to soften and activate them. (Read more about the benefits of soaking here.) You don’t want to soak these buttery bandits any longer than 2 hours or you’ll destroy their precious oils. 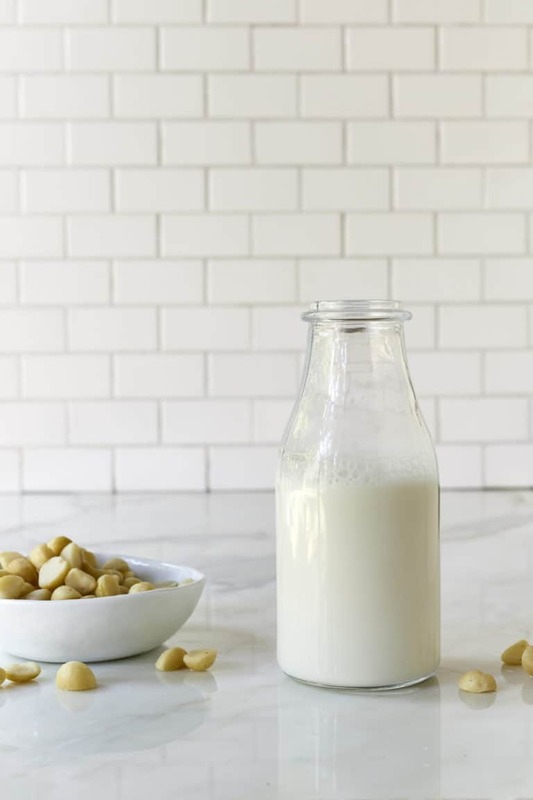 Raw, unsalted macadamias yield a rich and creamy milk similar to homemade cashew milk. 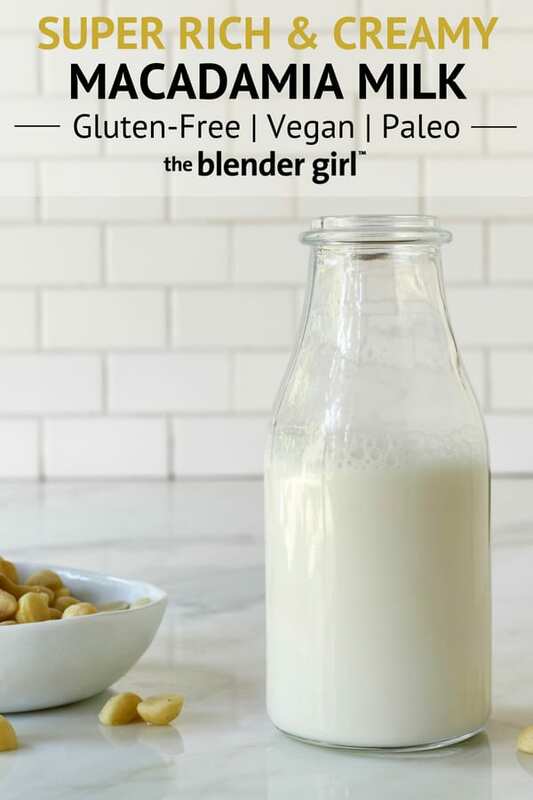 Like cashew milk, macadamia milk doesn’t really need to be strained, so it’s super quick and easy to make. You will get a tiny bit of texture, even in a high-speed blender, so you may want to strain for a super smooth milk for use in recipes. I find that many of the macadamias sold are rancid. So, for the best results, purchase fresh macadamias from sources with a high turnover, and make small batches of milk as you need it. Macadamia milk is fantastic in smoothies, soups, stews, and desserts, and it is divine mixed with chocolate. 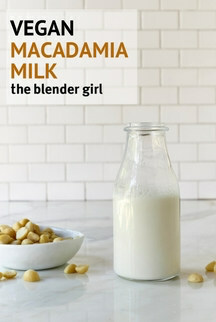 If you don’t want to make homemade macadamia milk, commercial macadamia milk is now available. There are a few brands on the market, but Suncoast Gold is the best. This Australian company roasts their nuts to make a rich paste, so the flavor is incredible. It tastes like ice cream. I am very proud to be their spokesperson. Learn more here. The milk is available in original and unsweetened varieties, and is gluten-free, dairy-free, egg-free, soy-free and non-gmo. Suncoast Gold recently improved the milk’s formula – removing the carrageenan and maltodextrin, and replacing it with sunflower lecithin, locust bean gum, and gellan gum. They also updated the design of their packaging, and it is gorgeous! The revised product is already available in Australia, and will hit stores in the US later this year. You can find the milk in select health food stores, Kroger stores, and Fry’s locations across the United States; in Loblaws stores in Canada; and nationally at Coles supermarkets in Australia. 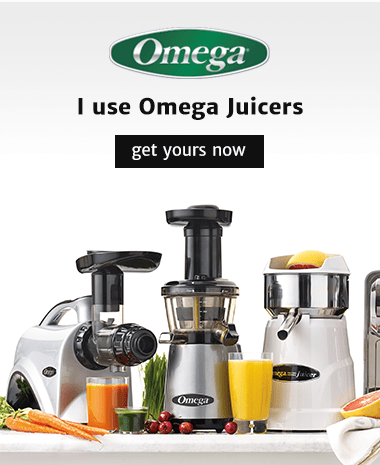 Use the store locator to find a store near you. Until the milk is more widely available, the best bet is ordering it online from Amazon. It’s so quick and easy. Homemade macadamia milk is easy to make, is rich, creamy, and decadent, and can be used in smoothies and other recipes. Drain, and discard the soaking liquid (do not use this to make the milk). Rinse the macadamias several times to remove the anti-nutrients and enzyme inhibitors. 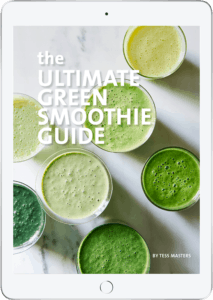 Throw the rinsed macadamias, water, and salt in your blender, with any additions (if using), and blast on high for about 60 seconds, until smooth and creamy. Store the milk in a sealed container in the fridge. Activated macadamia milk (made with soaked macadamias) will keep for 2 to 3 days in a very cold fridge. Unsoaked macadamia milk will keep for about 5 days.